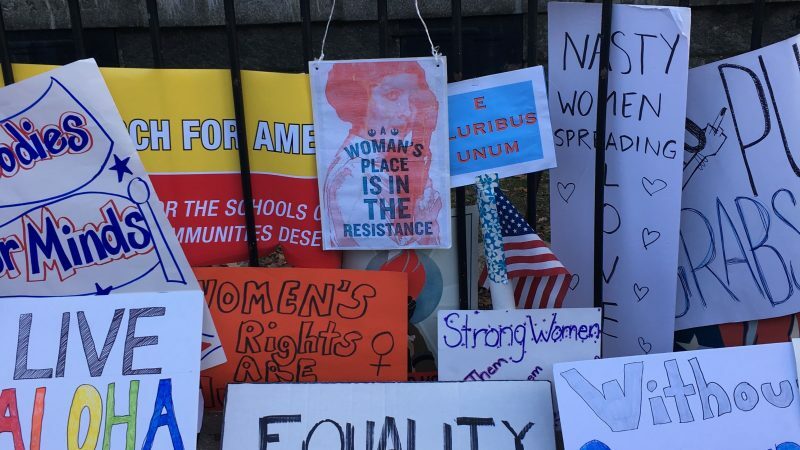 Protesters’ signs after Women’s March in Boston, USA, January 2017. Photo by Ellery Biddle, used with permisison. A Mozambican journalist who was arrested while reporting on a trend of violent attacks on small villages in Mozambique’s province of Cabo Delgado has been behind bars for more than 70 days without trial. Authorities have accused Amade Abubacar of “violating national security” and “incitement to disobedience by means of computerised devices,” but have yet to issue formal charges. Authorities in Bangladesh blocked Al Jazeera’s English news website after the media outlet published an article describing allegations that the head of Bangladesh’s military intelligence agency had ordered state security agents to abduct three men to settle a business dispute. Local news site Joban, which posted a Bangla-language summary of the exposé, was also rendered inaccessible.